From diamonds to handbags to flavorings our lives are filled with imitation items. Imitation items are often cheaper, more stable to deal with, they last longer and more readily available. I think I encounter that form of “imitation” most commonly in the grocery store. The baking isle has a whole section of extracts to simulate a real substance from the common vanilla to lemon, strawberry, coffee, rum, maple syrup and on and on and on. That isn’t the only place, from cheese, to drink flavoring to even peanut butter the grocery story is filled with imitation items. Why are there so many imitations? From limited availability, to cost and ease… imitation items have become prevalent and not just in groceries. 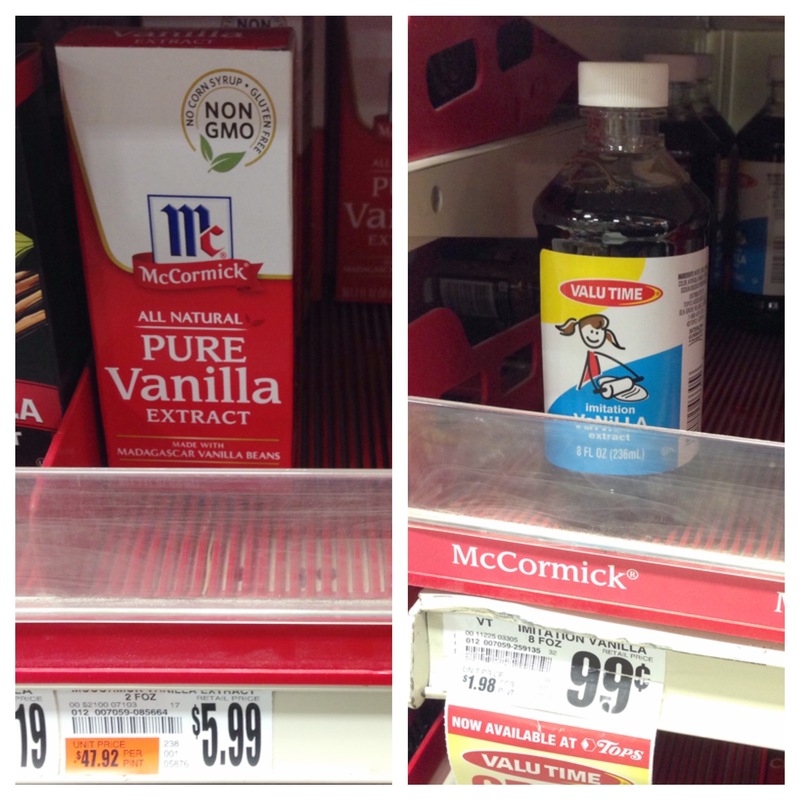 Why buy real vanilla extract when the imitation is so cheap? Why not buy this fake cheese product that doesn’t have to be refrigerated? How about a fake watermelon drink available even when watermelon is not in season. Sounds good doesn’t it? Well, not to everyone. Some people can’t stand the imitation products because the flavor, quality and health concerns outweigh any benefits others may find in the fake product. But in a world so filled with imitation products there are times when we’ve grown so accustomed to the fake product we don’t even know it is fake anymore. We don’t know what missing out on what is real! How about when it comes to our faith? Where have we replaced the real with an imitation? God was not approachable to the masses. They had waited too long. So they took matters into their own hands and created a god that would meet their needs and expectations of the moment. And we know that didn’t go well. Seems like an easy choice the thief vs Jesus. Why would anyone choose the one who is trying to steal and kill and destroy? Because the thief is an imitation. This verse is preceded by Jesus telling of the Good Shepherd and His sheep. 1 “Very truly I tell you Pharisees, anyone who does not enter the sheep pen by the gate, but climbs in by some other way, is a thief and a robber. 2 The one who enters by the gate is the shepherd of the sheep. 3 The gatekeeper opens the gate for him, and the sheep listen to his voice. He calls his own sheep by name and leads them out.4 When he has brought out all his own, he goes on ahead of them, and his sheep follow him because they know his voice. 5 But they will never follow a stranger; in fact, they will run away from him because they do not recognize a stranger’s voice.” 6 Jesus used this figure of speech, but the Pharisees did not understand what he was telling them. 7 Therefore Jesus said again, “Very truly I tell you, I am the gate for the sheep. 8 All who have come before me are thieves and robbers,but the sheep have not listened to them. 9 I am the gate; whoever enters through me will be saved. [a] They will come in and go out, and find pasture. 10 The thief comes only to steal and kill and destroy; I have come that they may have life, and have it to the full. Using his voice just as the shepherd would, the thief calls to the sheep. But the sheep do not follow because they don’t recognize his voice. Good thing too if the thief’s purpose is to steal, kill and destroy! But what would happen if the sheep didn’t know the difference between the shepherd and the thief? They would be in great danger, no doubt! Jesus is our Great Shepherd, he has given his life for us and he is calling to lead us into full, abundant life. But, for many, there is a problem. There are many voices calling out to us, many trying to lead our way in life. And it’s really rough trying to discern which is the voice of the true shepherd. Ephesians 4:14 refers to situations when “people try to trick us with lies so clever they sound like the truth.” And isn’t this so true? There are so many lies out there that are so clever that they sound like truth. Saying it like that makes those “lies” sound a lot like an imitation of the truth and those imitations can be a lot more convenient than the real thing. Maybe they aren’t as costly. Maybe they make all this “God stuff” more accessible or make it more readily available. Maybe they make our spiritual lives a lot less hassle to take care of… and we start to follow their voice. Jesus says the thief has only come to steal and to kill and to destroy. So following lies, no matter how cunning, no matter how truthful they sound, if they are imitations the thief is using to lead us away from the abundant life God has for us then they are leading us to our peril. How do we go about developing that in our own lives- following God because we’ve learned his voice and his alone? What are areas of your life that you struggle not to accept an imitation of faith over the real thing? How can you safeguard yourself against that?